After playing at Wembley for the whole of last season, Spurs will move back to their home in North London in September when the suitably named ‘Tottenham Hotspur Stadium’ is opened. 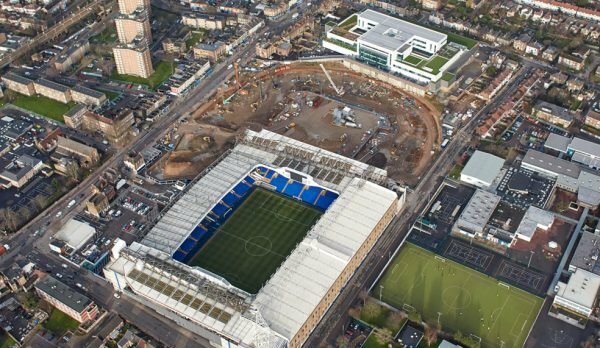 Estimated at £1bn in costs, Spurs’ new home is on the site of the old White Hart Lane stadium they called home for 118 years. Complete with a microbrewery, cheese factory and state-of-the-art hospitality, the new stadium will be one of the best not only in the country but the world. With the work due to finish next month, we take a look through the gallery of photos since work started all the way back in January 2016, right through until the first test event! 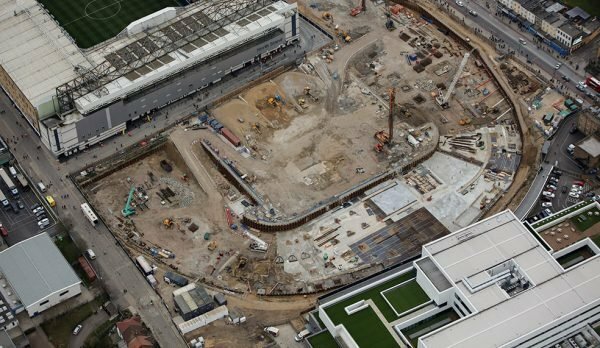 As mentioned the stadium is on the site of the old White Hart Lane, this photo shows that work started early in January 2016, with the outline taking shape. The old ground would later be destroyed as the new stadium engulfed the land it sits on. 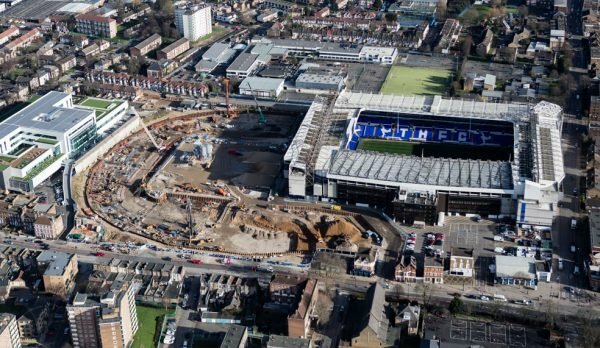 Spurs season ticket holders started to have their route to White Hart Lane disrupted as the new stadium’s foundations are put in place. Just from the foundations you can already see that the 60,000 seater stadium will dwarf it’s predecessor. The shape of the stadium will be more oval compared to White Hart Lane, the ‘bowl’ in which the pitch will sit is visible for the first time in March 2016.